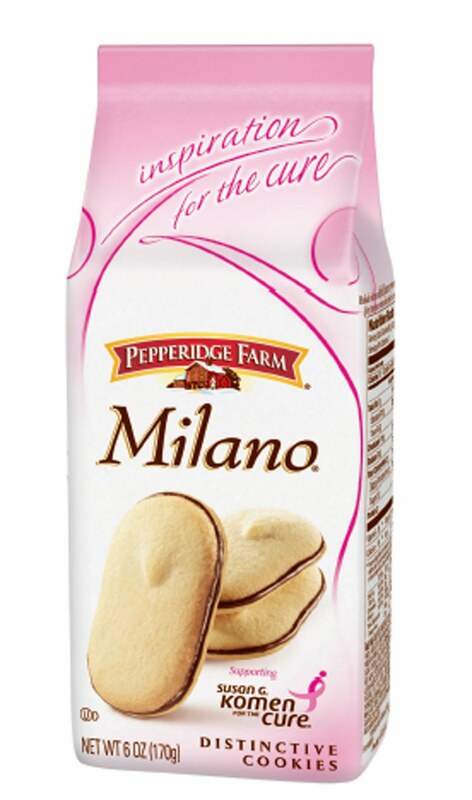 October is Breast Cancer Awareness month and in honor of all of those who've been touched by the disease, Pepperidge Farm is turning their Milano packaging pink - inspiration for the cure! To support this cause, Pepperidge Farm has launched a Facebook Campaign to encourage consumers to share a "Milano Moment" when they realized life is sweet. It gets better! 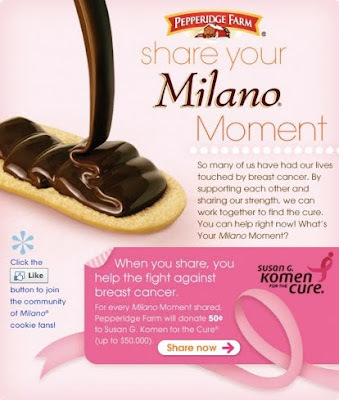 From now through October 31st, Pepperidge Farm is donating $.50 to Susan G. Komen for the Cure for every Milano moment shared on the Milano Facebook Page (up to $50,000) . **I am a One2One Network member and by posting this information I am being entered into a gc giveaway.